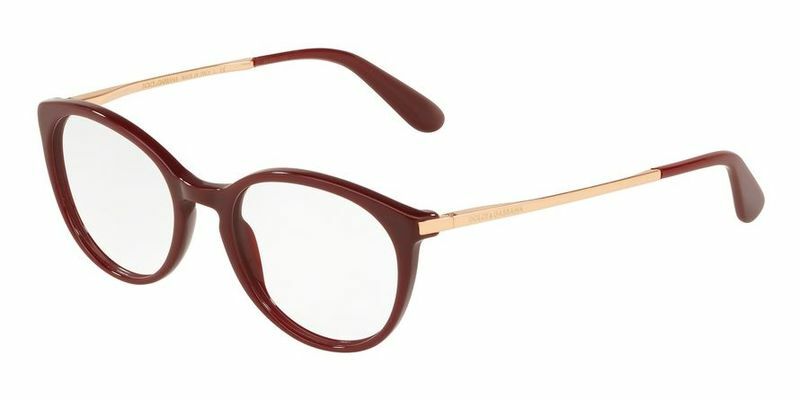 You'll fall in love with these classic full-rim Dolce & Gabbana DG3242 frames as soon as you try them on. The classic design suits most people, making these some of the most versatile eyeglasses on the market. Inspired by the worlds of art, architecture, travel, and culture, these sophisticated oval eyeglasses' frames will take you on a journey of your own. Create, see and do, because you know the world is yours - there's nothing more attractive than a confident person in Dolce & Gabbana DG3242 glasses, and you know it. Soften your strong jawline or add more curves to your square face, and watch the world fall in love with you and your frames. When you enter the room with these nerdy frames, you'll turn heads - and not for the wrong reasons. If you're into keeping up with the latest traits, these nerd-style frames will help you achieve your goal. If you were buying a new suit, you'd expect it to fit perfectly to your body, right? The same goes for your Dolce & Gabbana DG3242 glasses. A high temple positioning will create more comfort to for those with rounder features.